Wonderful outfit! I love polka dots I think they look so adorable and feminine and paired with that pink jacket and the beret, it looks absolutely beautiful. Looking super chic in this Parisienne like outfit! Love your shirt and beret hat! 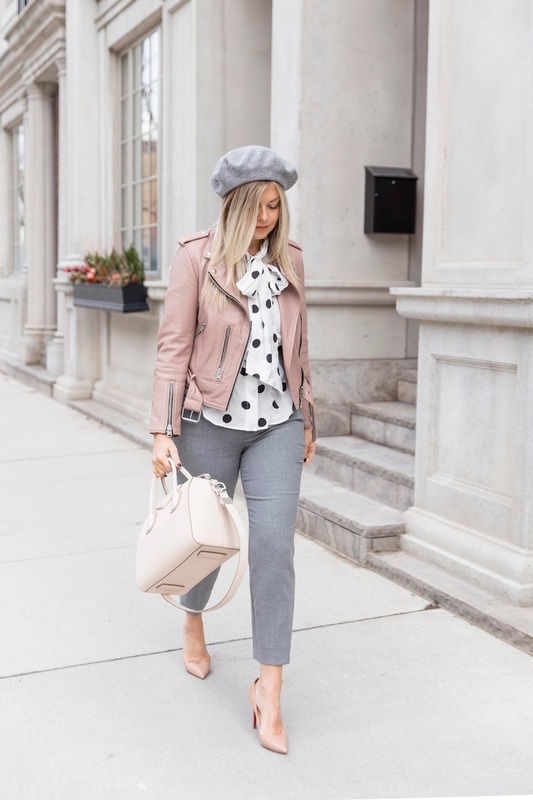 Krystin the blush and grey with polka dots is stunning... and you suit a beret SO well!! I'm so glad they came back despite me being so hesitant about them this time round!